FOREST GROVE, OR -- When you "gotta catch 'em all" nothing can stop you, not even a stab wound. Michael Baker of Forest Grove, Oregon, was so focused on catching all the characters in "Pokemon Go" that he kept playing even after he was stabbed. Baker told KPTV he was out attempting to catch the mythical creatures when he was approached by a man who he thought was also playing the game. "I saw him go by and asked if he was playing Pokemon Go. He was like, 'What?' I guess he wanted to battle because he came up at me with a knife," said Baker. According to a police report, Baker refused medical treatment and continued his Pokemon hunt. "I basically risked my life," Baker said. "It's important to me. I gotta basically catch them all." Baker said he got eight stitches on his shoulder. Police have not made any arrest. This is not the first time a "Pokemon Go" player has been hurt while playing the game. In upstate New York, a driver ran his car off the road and crashed into a tree while playing "Pokemon Go." Auburn Police Chief Shawn Butler released a statement saying, "The driver admitted to actively playing the 'Pokemon Go' game while driving causing him to become distracted and run off the roadway into a tree." The driver suffered cuts to both legs and was disoriented, but was not seriously injured. The Auburn Police Department is reminding "Pokemon Go" users to use common sense while playing: don't chase the virtual creatures while behind the wheel or on a bicycle and be aware of one's surroundings. That advice comes a little too late for a 15-year-old girl in western Pennsylvania. 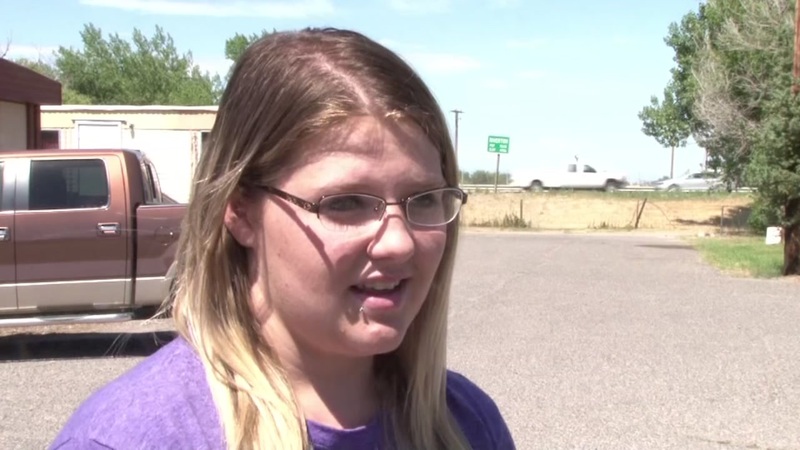 Her mom claims the teen was hit by a car while playing "Pokemon Go." A woman in western Pennsylvania says her 15-year-old daughter was hit by a car while playing the popular new "Pokemon Go" game on her smartphone. The teen suffered an injured collarbone and foot, as well as cuts and bruises. 7/11-Traffic accident: Illegally parked car struck from behind (*Airbags deployed in 2nd car). 1st driver had exited to catch a Pokémon. University of Maryland campus police told ABC News, three out of four recent robbery victims on the College Park Campus had been playing "Pokemon Go." A 19-year-old man in Long Island, New York told police he had his smartphone stolen while he was playing "Pokemon Go" on Wednesday evening. Coming face to face with a mugger is just one type of terrifying experience "Pokemon Go" players have experienced. A woman in Wisconsin was looking for the mythical creatures in water, when she found a dead body. Artist pays homage to the Pokemon Go craze with dominos!